Norfolk-based gin producer Bullards Spirits has launched a crowdfunding campaign to raise £175,000 (US$230,000) to quadruple production. The gin distiller, based in Norwich, UK, has launched a crowdfunding initiative on Crowdfunder to fund its “ambitious growth plans”. The funds raised will go towards the renovation of Crystal House on Cattle Market Street in Norwich – the new home of Bullards Anchor Distillery. Bullards currently produces its gin at The Ten Bells in Norwich. The new site will also include a shop and a ‘ginstronomy’ bar and restaurant. Bullards hope to upgrade its 120-litre still to a 600-litre still and expand its gin range, which currently includes Bullards Norwich Dry Gin, Bullards Old Tom and Bullards Strawberry & Black Pepper Gin. In return for funding, Bullards is offering limited edition bottles of its new Old Tom gin, branded merchandise, gin-making experiences and personalised tasting tours. Early backers of the campaign can also gain pre-launch access to Bullards’ three gins in new packaging. The design showcases the brand’s Norwich roots across embossed glass and paper-free labelling. Bullards is also offering Norwich Football Club fans match day packages in return for pledges of support. “The dream is to turn our new distillery into much more than just a place to produce our gin,” said Bullards co-founder Russell Evans. 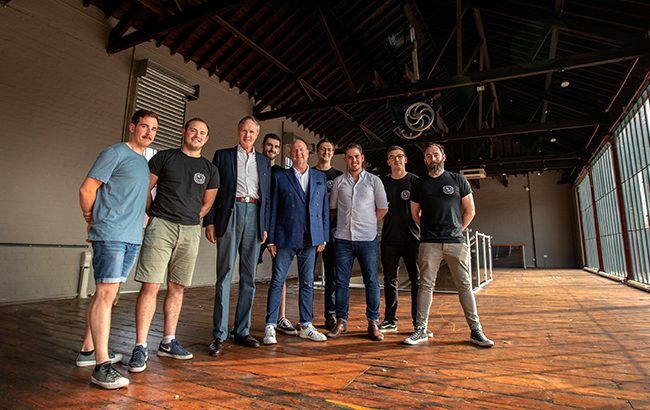 “We want it to return the building to Norwich residents as well as attract new visitors to the city, offering tours, tastings, a shop, bar and ‘ginstronomy’ restaurant pairing great gin with fantastic food. “Support pledged through the crowdfunder is going to help to turn this dream into reality”. To date, the campaign has raised £10,647 and will close on 10 December 2018.